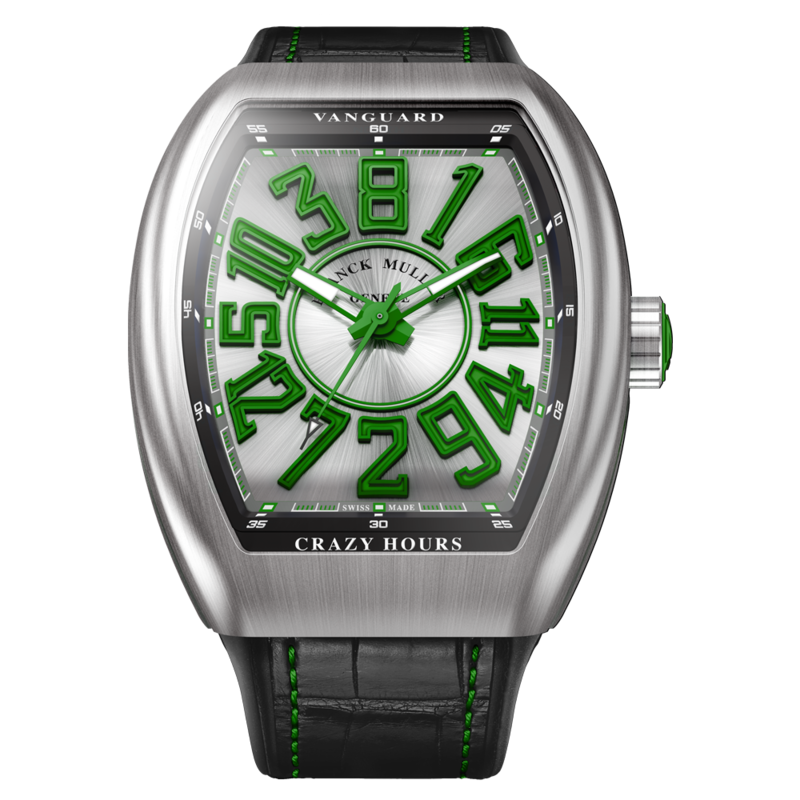 The Vanguard Crazy Hours™ calls in for youthful and futuristic aesthetics. The material is into the spotlight, with the brushed stainless steel case and dial. An aesthetic that lives up to the eccentricity of the complication, with the iconic numbers of the Vanguard™ collection in blue, red, green or orange, that seem to strand out from the brushed stainless steel dial.